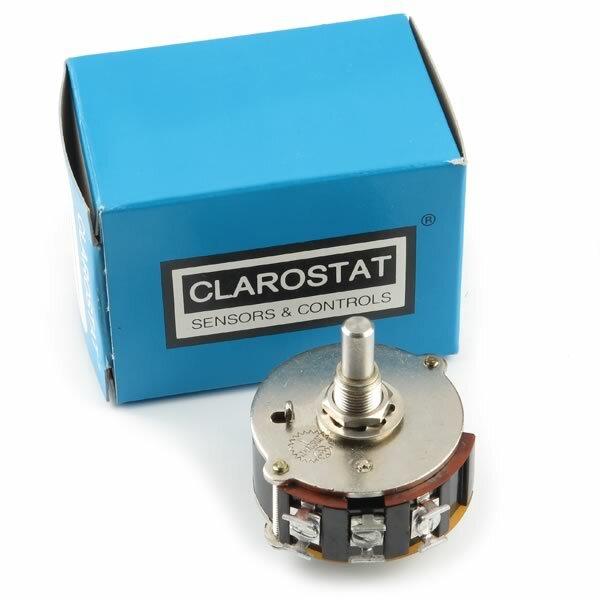 Wirewound 3Watt precision potentiometer by Clarostat type 42JA500 is a 500Ω linear taper model with ± 5% tolerance. 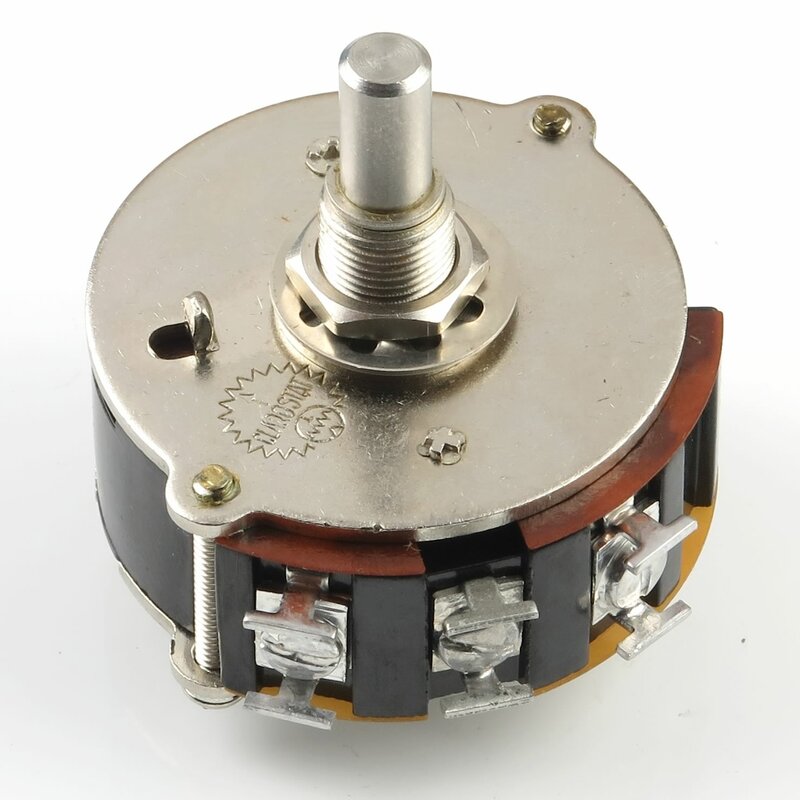 These are 1.80" diameter x 0.86" thick and features a standard 3/8" threaded bushing and panel mounting nut. Shaft is a standard 1/4" diameter x 0.5" long, made for use with knob. These are brand new in factory box and retail for $40 and up to $170 each.